Good and Evil in a World Beyond Belief: Can Atheism Explain the Existence of Moral Goodness? Can you be an atheist and follow Jesus? Do you need God to be moral? Join our discussion in Calgary between Rev. Gretta Vosper, a United Church pastor and atheist and Brett Kunkle a Christian apologist. They'll explore, "Good and Evil in a World Beyond Belief: Can Atheism Explain the Existence of Moral Goodness?" 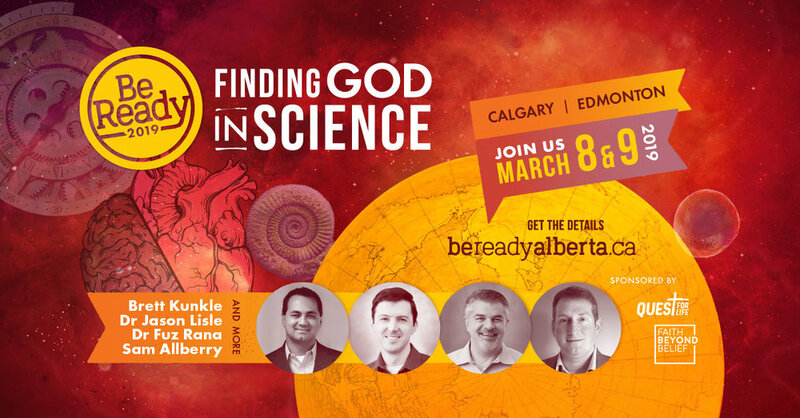 in Calgary on March 7th. Bring a friend and join the discussion! How do we present the Christian truth in a culture that no longer believes in truth? Nancy Pearcey, professor of apologetics at Houston Baptist University, explains how Western culture has lost its grasp on truth and how Christians can communicate more effectively with our secular friends and family members. And don’t think Christians are immune—many young people in the church are absorbing post-truth trends as well. To live with integrity, we need to start with a biblical view of truth. Nancy Pearcey is the author of the recently released Love Thy Body: Answering Hard Questions about Life and Sexuality. She is professor and scholar in residence at Houston Baptist University and editor-at-large of the Pearcey Report. Her earlier books include The Soul of Science, Saving Leonardo, Finding Truth, and two ECPA Gold Medallion Award Winners: Total Truth and How Now Shall We Live (which was coauthored with Harold Fickett and Chuck Colson). A former agnostic, Pearcey has spoken at universities such as Princeton, Stanford, USC, and Dartmouth, and was hailed in The Economist as "America's pre-eminent evangelical Protestant female intellectual." Jojo Ruba speaking at Trinity Lodge. Time not yet determined. Time to be determined. For Teachers Only. Attending No Greater Love? Come say hi to the FBB team at our ministry fair table. Or consider volunteering. Summit Conference — Two volunteers are required to assist Jojo with the sale of resources (books, cds, dvds) using iPad or mobile devices and square card readers. How can Christians navigate discussions on gender identity when friends or family members come out as transgender? How do we speak on gender and sexuality issues with grace and truth? In these two sessions, we will examine why Christians ought to trust God’s commands on gender and sexuality as both true and good.